FRENCH MOVIE NIGHT MONDAY APRIL 1st 2019!!! Every 1st and 3rd Monday of the Month @ 6 p.m.
Get All 3 Courses for Only $24.95! Chocolate Mouse with Whipped Cream! 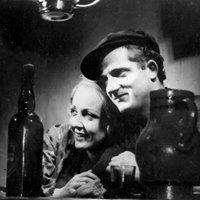 The Featured Movie is L’Atalante (1934).